now that I have shared eloise’s first birthday party pictures, I thought I would share all of the party-planning details & the DIYs (since a lot of you have asked!). first birthday parties have become huge events, thanks mostly in part to pinterest. (yep, I am totally blaming pinterest for this one!) I have a girlfriend who likened a child’s first birthday party to a wedding… sometimes it seems that way, right? I LOVE to decorate for parties, but had to set realistic expectations for what eloise’s party would be like because it would have been so easy to get super carried away. plus, eloise is only going to remember this party from photos. 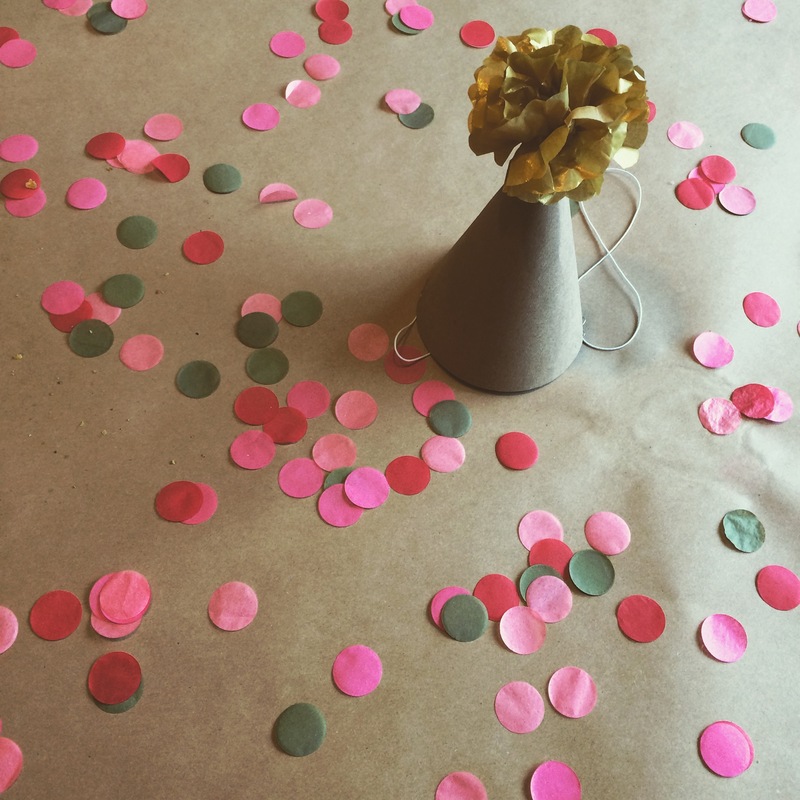 first birthday parties are for parents moms (& same with nurseries!) so I was determined not to go overboard. of course I had a pinterest board (it was secret though!) & I honestly started pinning ideas of things around the time she was 6 months old. once we got closer to the actual event, I decided on a theme: polka dots. I knew it would be easy & simple, & it was something that eloise loved too! 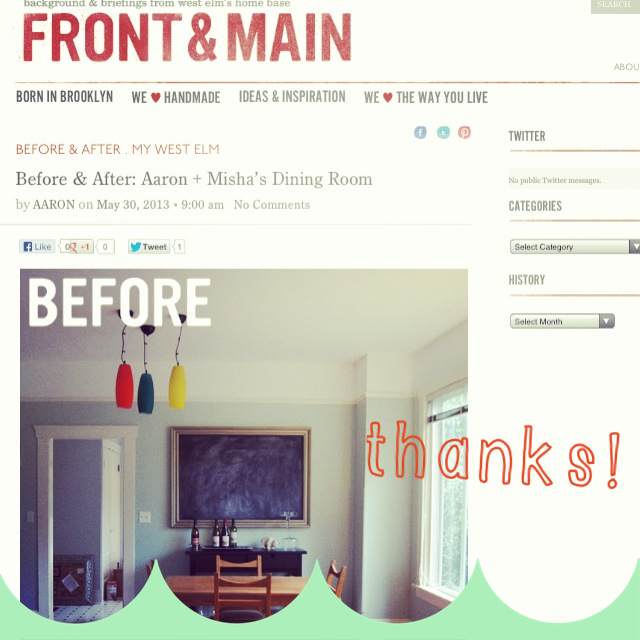 for me the theme was one of the trickier parts because I am not a fan of party décor that is super matchy-matchy. I think blogs & pinterest has created this idea that every single thing at a party (food, decorations, invitations, etc.) have to be perfectly on theme. but I prefer a more subtle theme, so dots were perfect. I started with the invitation since that would be the first thing everyone would see &, let’s be honest, I adore paper goods. just like Christmas cards, I designed the invitation (using photoshop & illustrator), had them printed at my favorite local printers (Girlie Press if you live in Seattle! ), & snail-mailed them to our guests. 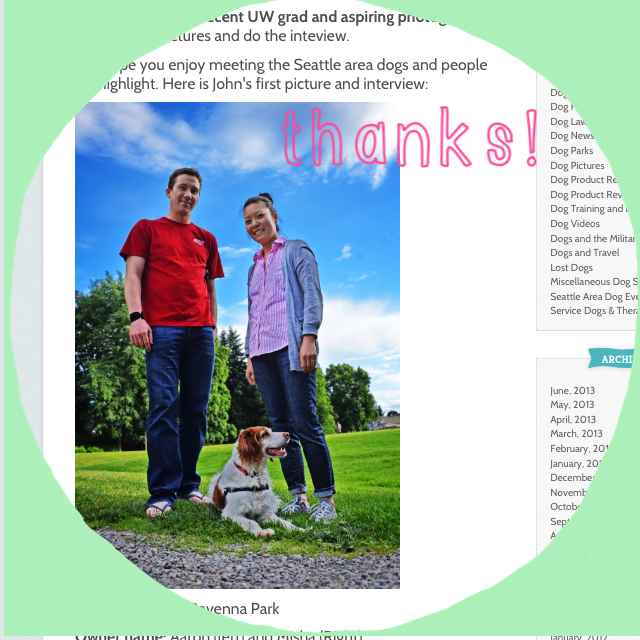 while sites like Paperless Post & Evite are really great (especially for managing RSVPs), there is something really special about a mailed card that you can hold in your hand & hang on your fridge. 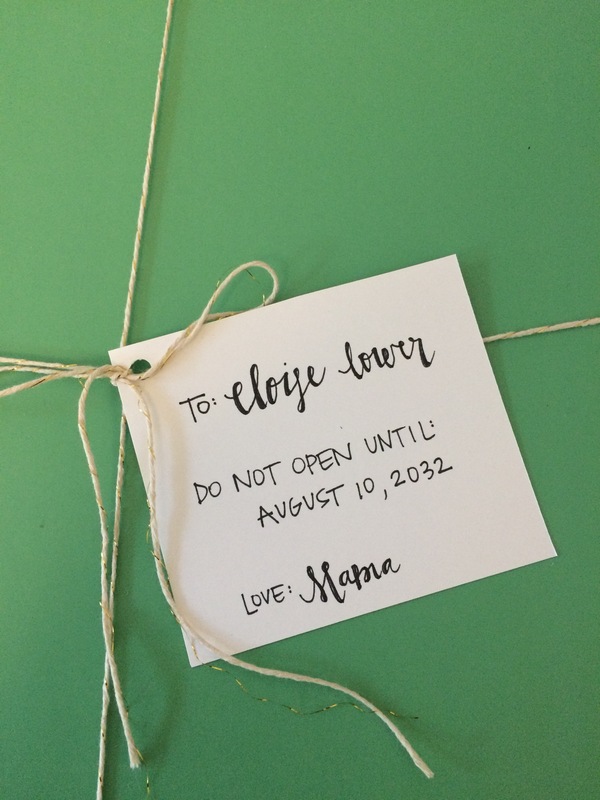 plus, after perusing the Paperless Post site for a few minutes, I quickly decided I would be so much happier if I just made my own invites since nothing seemed quite perfect. the other great thing about having designed the invites is that I could later make party signs that followed the same theme. & since I was doing paper invites, I also decided I wanted to line the envelopes. this is a little something extra that I think is really fun & I never get to do with our Christmas cards since it would be so time consuming! after shopping around at a few craft stores, I opted to design a stripey pink envelope liner (& then the hot pinks matched perfectly!). in order to save time, money, & paper though I made the inserts half size so that they didn’t go down inside the entire envelope. it ended up working perfectly & I could even print two liners per page! since I did the liners later, I had them printed at my local Kinko’s (the online printing service is pretty cool!). when it came to décor, I knew I wanted to DIY a few things, but I wanted to keep it simple. garlands, balloons, party hats. that was pretty much it! I also wanted to make a small garland to hang on the chalkboard. I found this great cardstock with gold polka dots at Michael’s & grabbed a few sheets since it was so on-theme! I ended up using some of it to make half of the chalkboard garlands (the other half I used plain cardstock). I like the look of little flags, so I used a simple rectangle & cut out the bottom triangle to make it a flag. I cut little slits with an exacto knife & then thread each flag onto white twine (with a gold glitter thread). the other theme of the party (other than polka dots) was ONE since that was the age eloise was turning… so I thought it would be fun to have big balloons that spelled out ONE after seeing this adorable set-up with letter balloons. I ordered the O and N balloons from the Oh Happy Day! Party Shop in the large size (34 inches – they were huge!) because that was what was in stock. I was able to find the exact same balloon on Amazon for the letter E. there was a bit of a fiasco though once I had the balloons filled & while things didn’t go according to plan, I was able to make it work & was really pretty happy with it in the end. so if you are thinking about using giant letter balloons, learn from my story: on thursday evening before the party (which was saturday afternoon) I decided to run out to our local party store to have the balloons filled while aaron put eloise to bed so that I didn’t have to go out on friday & try to wrangle eloise plus three giant balloons. I was able to get the balloons filled (with helium) & home with no issues. I begged aaron offered to help me hang the balloons & the dot garland once I got home so we could check that off of my to-do list. we quickly figured out that filling the balloons with helium wasn’t ideal since I wanted them to hang near the top of the window, but didn’t want strings hanging down in order to keep them floating in the right place. so we taped them from the top of the window & weighted them down at the bottom with metal nuts (actually a really genius move by my husband!). all was well until 7 am on friday morning when I heard a POP! yep, the E balloon burst right at the seams & I was left with balloons that spelled out “ON.” perfect. Amazon Prime can get stuff to us quickly, but not that quickly, so I headed back to the party store later that afternoon (& luckily my mom was in town by that time so she watched eloise). while I was assured at the party store by multiple employees that the E balloon didn’t burst due to overfilling (I still question that, but I was picking my battles at that point!) they did make sure to tell me that the balloons sold on Amazon have about a 50% failure rate. that would have been nice to know. luckily this party store sold the same gold numbers, & the number 3 backwards looks a lot like a letter E. right before I was getting the 3 filled though, I noticed that it was a slightly different gold color than the original balloons. uh oh. but do you know what? the number 0 & the letter O are identical & I figured it may look somewhat purposeful if the O & the E were a different color than the N so I went with it. I also was talking thru the weighting process with the balloon fillers & they told me all of my problems would be solved if I just had the balloons filled with air. duh! so for the same price as helium (what?) I had the 0 & 3 balloons filled with air. once I got home, we took down the letter O & hung up the 0 & backwards 3. it was perfect (well as perfect as it was ever going to be!) & you couldn’t even tell the color difference! so all of that to say, if you are going to buy letter balloons, don’t buy them off of Amazon & buy a few extra just in case! we had two cakes at the party – one for adults & party guests, & a small smash cake for eloise. the big cake was a vanilla one from Whole Foods & while I am certain it had the highest quality ingredients, aaron & I decided early on that we didn’t want to introduce eloise to sugar (just yet!). so I made her a little smash cake that was banana & blueberry with whipped coconut milk frosting. I really wanted some kind of cake topper too & made two sets (one for each cake) using this cake topper as inspiration. it was really simple to make. I cut different widths of paper strips (using the same paper as the big dot garlands) & glued them onto a wooden BBQ skewer (which I cut down in length after the flags were on it). once all of the paper strips were glued on, I cut out the little triangles from the ends, making each flag a different length. I added the writing with a gold paint pen, & added the gold-thread twine (which is the same I used to hang the chalkboard garland). because of the smash cake photo op, I wanted to decorate eloise’s highchair a bit. nothing too elaborate, but I did make two little garlands that hung on the front of her tray. the first one was a tiny version of the dot garland. I used a small circle cutter that I have (it is about an inch and a half) & then sewed the small dots together just like I did with the bigger garland. the other garland used the same little cardstock flags as the chalkboard garland, & I added ONE to the middle three flags. while perusing pinterest for party ideas, I came across a few pins for a party time capsule. I instantly fell in love with the idea & knew I wanted to do some type of time capsule for eloise to open on her 18th birthday. I found this great gold polka-dotted box at Home Goods & knew it would be perfect. the idea is that I am saving things from eloise’s first birthday party, storing the box, & giving it to eloise to open on her 18th birthday. pretty fun, huh? so far we’ve got all of her first birthday cards, the cake toppers, eloise’s party hat, the garlands from the highchair, the 3 balloon (since it doubles as an E for eloise!). plus, I thought it would be fun for each guest (well adult) to fill out a card for eloise so she could have all of them to read in 17 years (see picture below). I am hoping to add her ONE onesie that she wore on her birthday & for her first year photoshoot (still waiting on pictures from the photographer), a string that is the same length as her at one year, & perhaps some printed photos from her party & photoshoot. & finally, I always put a Kraft paper tablecloth out on our dining room table (where we serve food) whenever we have a big group of people over. it gives me peace of mind that the table won’t be destroyed by water or food, & it makes clean-up so easy! plus, it usually goes with the party décor since I almost always incorporate Kraft paper somehow. I keep this huge roll of Kraft paper around for occasions such as these (& use it to make table runners, signs, wrap gifts, the possibilities are endless!). for this party, I also added some confetti to the table that I picked up here (apparently it is the BEST confetti ever!). I had SO much fun planning eloise’s party! &, if I do say so myself, think I did a pretty good job managing the décor & not going too crazy. did you plan a first birthday party for your kiddo(s)? This entry was posted in baby, baby lower, birthday, cake, celebration, craft, diy, eloise, pinspiration, pinterest, SLR camera. Bookmark the permalink.